I’m not a vegetarian! I’m a dessertarian! Over the last few months I’ve gotten away from indoor photography since the weather has been so ideal for outdoor shooting. And as we’ve travelled to a few new places like West Virginia and the Northwest Territories, I’ve found myself focusing more on landscapes and nature and even a bit of wildlife. But now as November rolls in and the view outside becomes a bit more desolate in this part of the world, my mind turns more toward food, and so does my lens. Sometimes I even try try to find desserts with healthy ingredients (said with tongue firmly planted in cheek). 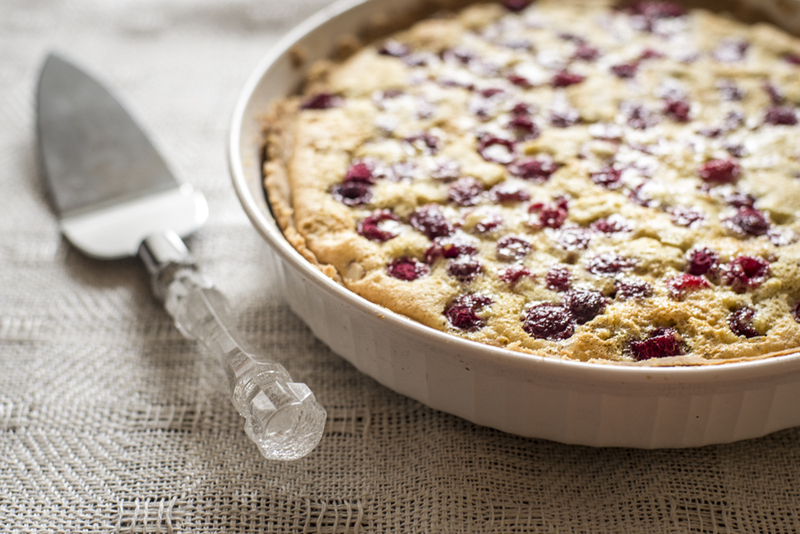 This tart has heart-healthy walnuts and high-fibre raspberries, along with the other bad stuff like sugar. 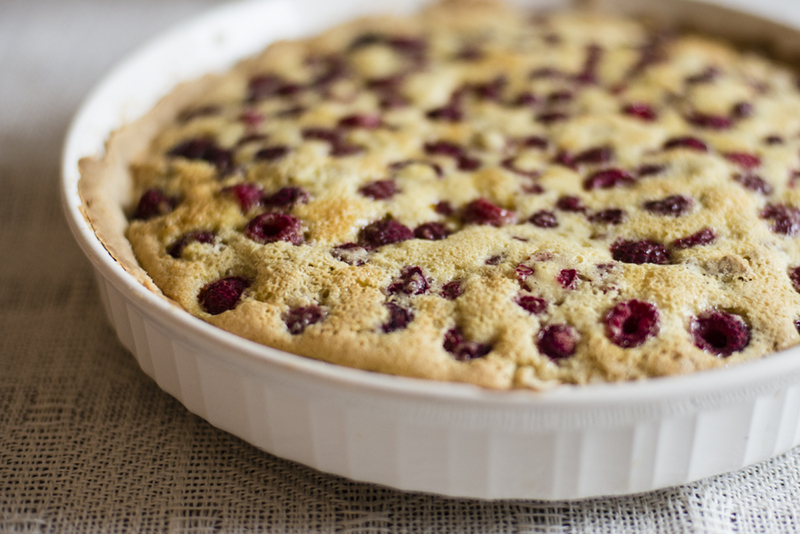 And if not low calorie, this tart is delicious, festive looking, and very easy to make. All in all a great combo for this time of year. The crust is a shortbread-cookie type crust so it’s quite foolproof and simple to throw together. 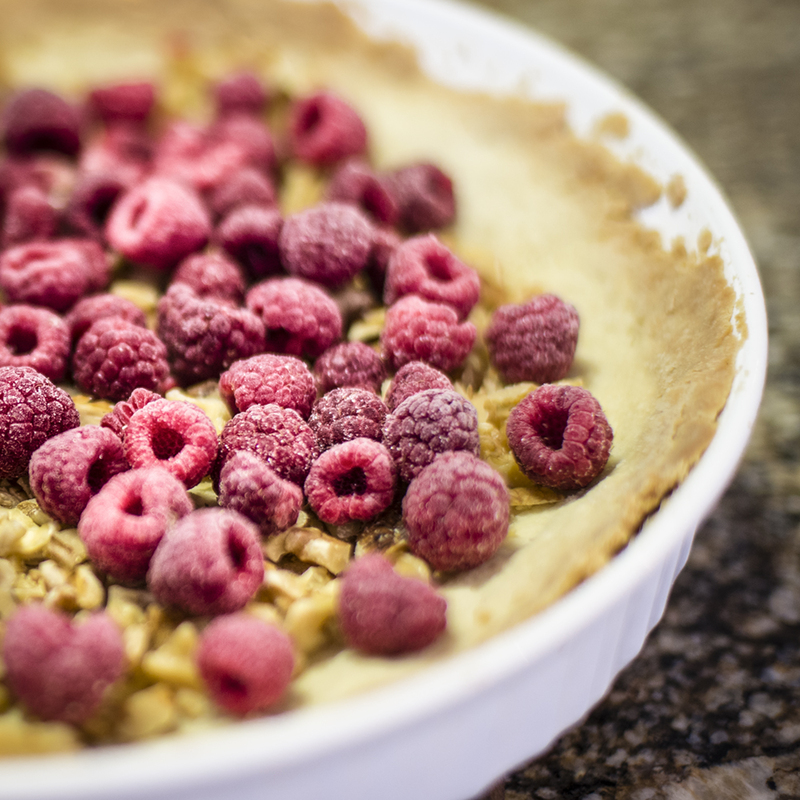 The walnuts are layered on the shortbread cookie crust first and then the frozen raspberries. Then the egg mixture is poured over the top, which gives it a pecan pie-ish look. If you’d like to try it, you can find the recipe here. To balance things out, here is a bonus recipe — for healthy salmon. It’s called horseradish grill-roasted salmon, and can be done on the BBQ, although we used the oven. We were introduced to this recipe by my sister and brother-in-law and they learned of it from their chef friends Anna and Michael Olson, who have some gorgeous cookbooks out. It tickled our taste buds and left us feeling satisfied but not overly stuffed. (And quite happy to be getting our Omega 3s!) This is a great dish for company and the guests we served it to the other night were hugely enthusiastic. The topping — we used panko — has flavour and crunch and keeps the salmon underneath very moist. It can be prepared very quickly and takes only about 10 to 15 minutes in the oven. If you don’t like horseradish you can scale it back or omit it completely. They both look delish. Will try them real soon Sherry. Really? Snow flurries Sandra! We usually have some snow by now. It does smell pretty good when the baking is in the oven…Thanks for checking in! Let me know what you think, Susan. So far they seem to be very popular! Thanks for your visit. 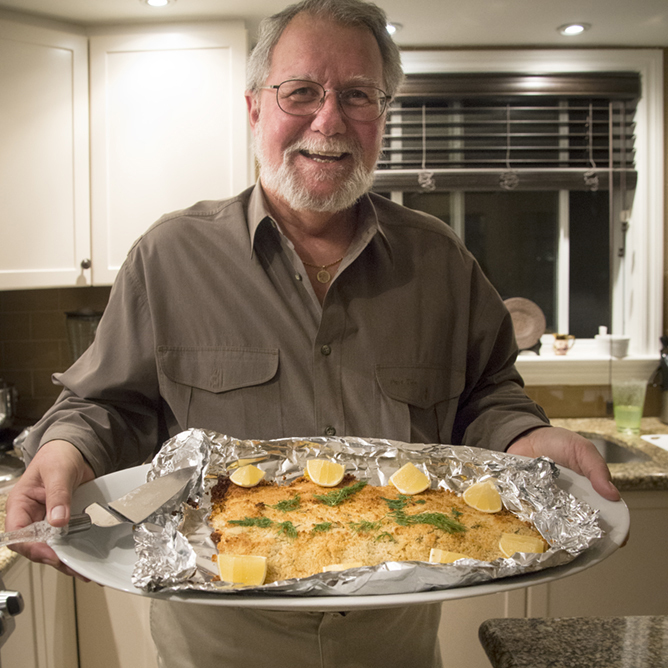 The salmon dish is really worth a try, Barb, if you love salmon! Thanks for dropping by! Ho, ho, ho! You guys are exactly like us! That is precisely what happens to this tart at our place. It somehow shrinks and then disappears. So glad you enjoyed it too! That salmon oh my, my favorite fish of all fishes. That pie/tart looks way too yummy here at breakfast time. Enjoy your holidays, looks like you are off to a good start. Yum, yum, yum, yum, yummy! Can’t wait to try them! Thanks, Sherry. Delicious looking dishes – it must smell wonderful in your home! Have a wonderful weekend! We just got snow flurries here! oh boy, these look absolutely delicious and so wonderfully presented. Can’t wait to try them! Even better that they’re so easy! Thanks for commenting. Nice to hear from you Pat! Sounds like you’ll be in Michigan for the holidays…Enjoy! The link is now fixed. Hi Terri, Thanks so much for your kind comment. And thanks for telling me about the broken link — it’s fixed now! I hope you enjoy the recipes as much as we did. If you have any questions, just ask away! This looks great, Sherry. I’m going to try the tart when I get back to Michigan. We try to eat a lot of salmon when in Florida but the link didn’t work for me. Sherry, I can’t get the link to work for the salmon recipe. Thanks. Sherry, although I read your blog regularly, I rarely comment. I read the post in my email and think I’m going to go over to the actual blog to leave a comment and then it never happens. However, I HAD to comment on this post! First of all, that raspberry tart just drew me in! I think I’ve found my Christmas dinner dessert! And then upon scrolling down, I found a new fish recipe as a bonus! Both sound delicious and I can’t wait to try them. Thanks for sharing!